The holiday season is already here! Sadly, this year got a bit derailed by a concussion in October, but I'm recovering well & getting back to normal activities. 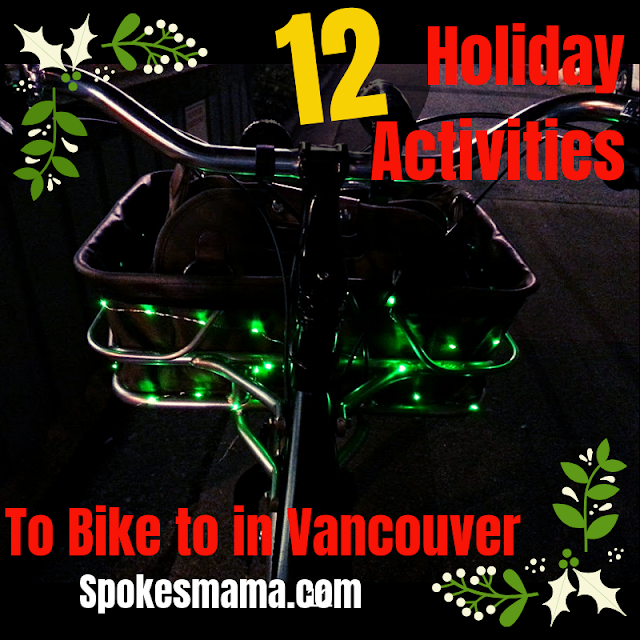 Here's my update of 12 holiday activities to bike to in Vancouver. Tall enough for Flyover Canada! I try to focus on the fun activities & family time when our family celebrates Christmas, & not so much on the gifts. They're also at the age where they're really into Christmas & both still believe in the magic, but I know (le sigh) that won't last for much longer. So I'm determined to make the most of the magic this year & take advantage of the many holiday events right here in our backyard. Christmas at Flyover Canada. We were finally all tall enough to try this out (kids need to be 40"/102cm tall to ride) & wow, was it exhilarating! If you've been to a 4D theatre before, this is one step further, with seats that are lifted off the floor & move around during the show. 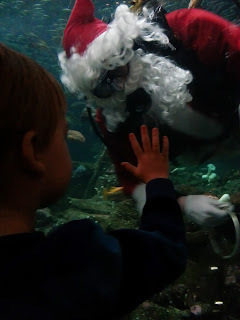 Plus, until the end of the year, BC residents get 25% off tickets! Get your Christmas tree by bike! There are many local tree lots around the city, there's probably one not far from you. 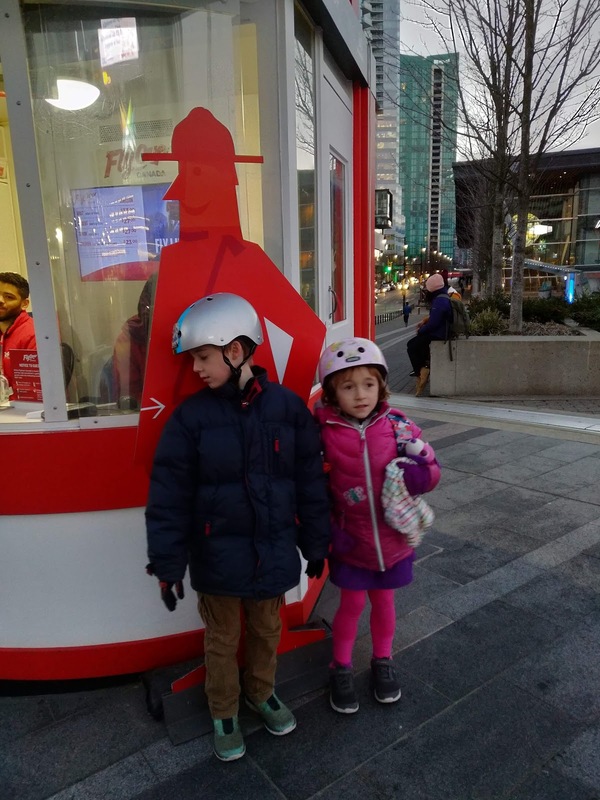 You can carry your tree attached to a cargo bike fairly easily (you can rent one at Reckless to try this out), or in a child trailer, or if it's relatively small, you may be able to attach it to a regular bike. For inspiration, Instagram is full of photos of people getting trees home by bike right now. 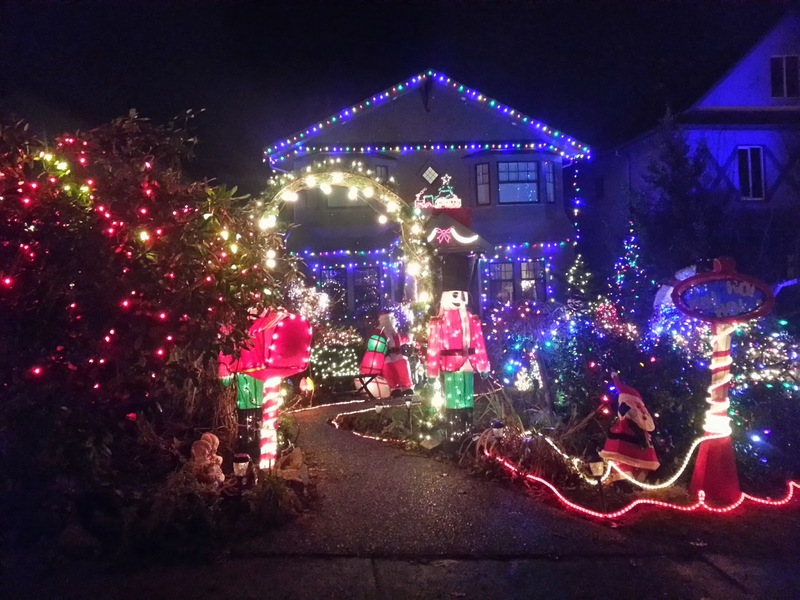 The Winter Solstice Lantern Festival put on by the Secret Lantern Society is celebrating its 25th year with fire performances & beautiful installations in Yaletown, Strathcona, Granville Island, & Chinatown on December 21st. 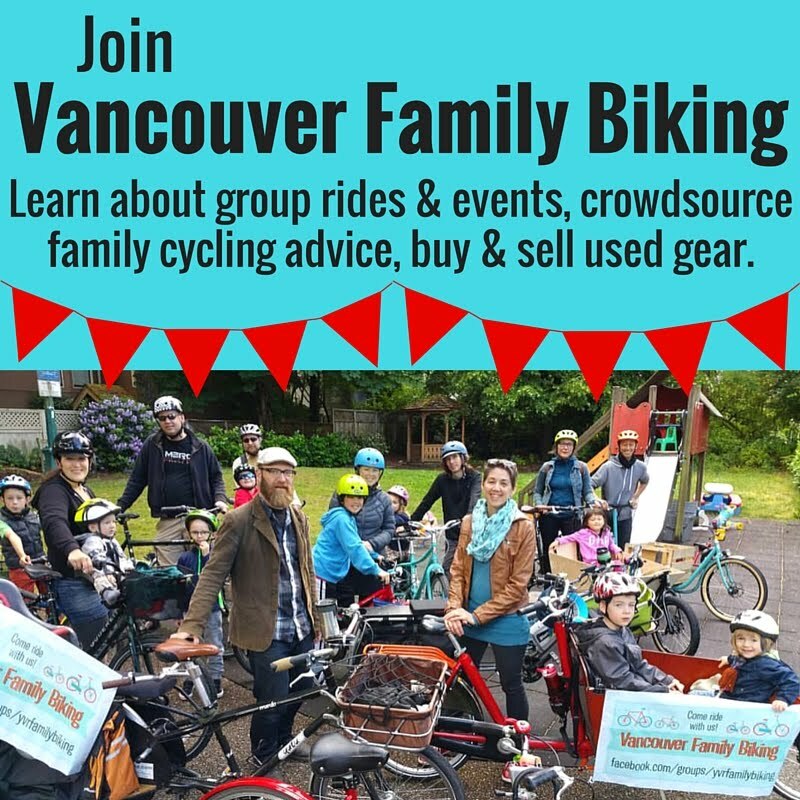 Are there any other fun events in the City of Vancouver that you love to bike to? Let us know in the comments!